Over the course of my 28 years of life, I've beaten more video games than I can count. I've never been the type of gamer who finds one game and sticks with it for months or years. Rather, from childhood on, I was the kid who would rent a different game from the local Blockbuster almost every week and beat it. Still, that's not to say there weren't a few games I owned and would come back to again and again—games like Full Throttle, Legend of Kyrandia: The Hand of Fate, Wing Commander IV, and Metal Gear Solid. I call them "Lazy Sunday Games." There are only two criteria for Lazy Sunday Games. The first is their length. You can beat these games in a single day of play. So whenever I would have a free Sunday with nothing to do, I would pop one of these in and head straight on through—hence the name. The other reason I'd revisit these games is the same reason I play games at all: to experience their amazing stories. On the surface, Chrono Trigger would appear to be a pretty lousy candidate for a lazy Sunday game as it is 25 to 30 hours long—at least the first time through anyway. However, Chrono Trigger is one of the first games to have "New Game Plus"—or as I like to call it, "the feature that should be included in every RPG ever made." Simply put, "New Game Plus" allows a player to restart the game with all his or her levels, spells, equipment, and money—effectively making your characters unstoppable when you play through a second time. Thus, by utilizing New Game Plus, Chrono Trigger can be completely cleared in less than half the time of a normal playthrough. Moreover, it allows you to experience the story in perfect fluidity without ever needing to put it on hold to level up—and what a story it is. One of the best things about Chrono Trigger is its replay value. When utilizing New Game Plus, you can beat the game at any time in the story and see what the ending would be at that point. Moreover, there are a few battles that are basically unwinnable the first time through the game (without countless hours of leveling up) that can be beaten on New Game Plus with "interesting" results. On top of that, there are several items in the game that can only be created at the expense of others—so you need to beat the game several times to get everyone equipped with the best gear. Also, playing different scenes with different party members to see their take on events is interesting as well. So, in the many, many times I have beaten Chrono Trigger, I don't think I've played it exactly the same way twice. 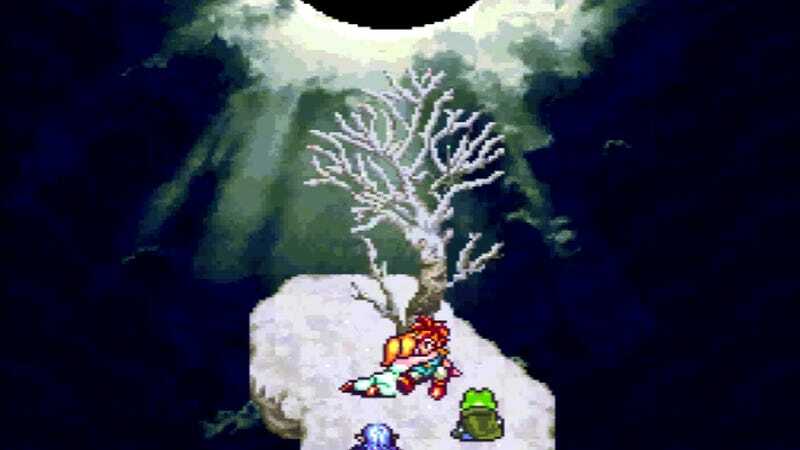 Sometimes I play it as a tragic love story, where Crono and Marle are always in the party together—until she is forced to lead the party to victory alone after his death. Sometimes I make it the story of two enemies—Frog and Magus—who through mutual experience gain a grudging friendship. And sometimes I make it a story of girl power, where the men are forced to sit on the sidelines while the female party members save the world. And as many times as I have beaten Chrono Trigger, I have never once grown tired of it. It is a brilliant story with excellent replay value and can be experienced in a single sitting. That is why, to me, it is the ultimate of Lazy Sunday Games.